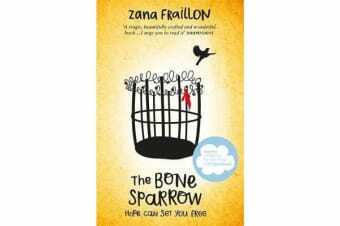 Shortlisted for the Guardian Children’s Fiction Prize and the CILIP Carnegie Medal 2017. Perfect for fans of THE BOY IN THE STRIPED PYJAMAS. This is a beautiful, vivid and deeply moving story about a refugee boy who has spent his entire life living in a detention centre. This novel reminds us all of the importance of freedom, hope, and the power of a story to speak for anyone who’s ever struggled to find a safe home. ‘…a special book’ – Morris Gleitzman, author of the acclaimed ONCE series Born in a refugee camp, all Subhi knows of the world is that he’s at least 19 fence diamonds high, the nice Jackets never stay long, and at night he dreams that the sea finds its way to his tent, bringing with it unusual treasures. And one day it brings him Jimmie. 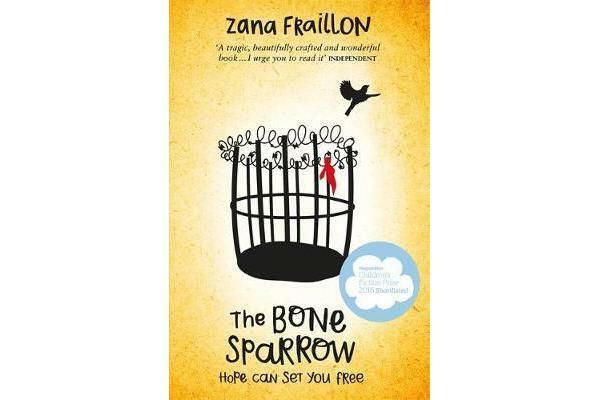 Carrying a notebook that she’s unable to read and wearing a sparrow made out of bone around her neck – both talismans of her family’s past and the mother she’s lost – Jimmie strikes up an unlikely friendship with Subhi beyond the fence. As he reads aloud the tale of how Jimmie’s family came to be, both children discover the importance of their own stories in writing their futures.